If you’re looking for prescription contacts in the Middleton, MA area, visit the professionals at Parrelli Optical. With our reputable optometrists overseeing the process, you will find the right lenses that will help you see better. 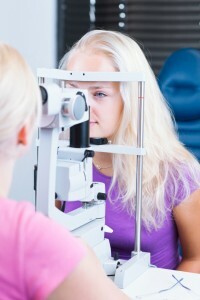 In all instances, patients can expect to be given a thorough eye examination during their first visit. If they feel that their vision has deteriorated over the past few months or years, then they may need a stronger prescription going forward. Our optometrists will be able to examine the eyes in detail so that a set of lenses can be crafted going forward. Once individuals have gotten used to inserting and removing the contacts, they can go about their daily routine with perfect vision once again. Saline solutions, multipurpose solutions and hydrogen peroxide systems all have advantages and drawbacks. Individuals will also learn how to remove their new contact lenses correctly. Improper removal methods, in fact, can damage the eye. Once wearers have developed a feel for the technique, however, the entire process should become routine. After the initial examination, you can begin looking at the available corrective eyewear options. If you are looking for prescription contacts in the Middleton, MA area, visit or call Parrelli Optical today to schedule your appointment.